David A. Vollrath is the Executive Director of the Union County Foundation. He earned his B.S. in Marketing/Management from Miami University in 1979. Mr. Vollrath is a life-long resident of Union County and owned and operated a 3rd generation General Motors automobile franchise from 1980 until selling the business in 2001. Mr. Vollrath has served in leadership positions on numerous community boards and is very active in his local church. He has served as The Union County Foundation’s Executive Director since the fall of 2001. Mr. Vollrath knows the County and its residents well and brings to the Foundation a solid background in commerce and community service. Mrs. Devine is a graduate of Bowling Green State University and holds a degree in Finance and International Business. She is married to Marysville native Steve Devine and they are the proud parents of Stephanie, Paul and Connor. Mrs. Devine has been employed with the Foundation since November of 2002 and has served in administrative and accounting capacities. She became Director of Finance and Development in 2007. 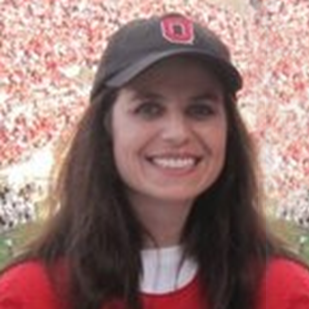 Mrs. Shroyer is a graduate of The Ohio State University and holds a BSBA degree in Accounting. She is married to Lyle and they are the proud parents of Samuel, Isabelle, and Maxwell. Lori and her family moved to Ohio from Alabama in 2016. Lori and Lyle enjoy following the many athletic and academic activities of their children. Mrs. Shroyer has been employed with the Foundation since February of 2018, having served initially in an assistant accounting administrator and administrative assistant capacity. Left to right: Ron Zimmerly, David Allen, Alan Seymour, Holly Underwood, Sue Devine, Chip Hubbs, Roger C. Nicol, Jennifer Morrison, Ryan Mickelson, Mardy Hanlon-Stolte, Cathy Conlon Blackford, Dave Vollrath, Eugene Mayer, Jim Vandre. Not pictured: Bruce Daniels, Chris Schmenk, Carol Young. B.A., Juris Doctorate from The Ohio State University. Retired after 50 years of law practice with Allen Yurasek Merklin & Owens-Ruff and predecessors. Active for over 50 years in support of Memorial Health and Union County Foundation and their predecessors. Married to Lynne Bauman Allen. Parent of two children and two grandchildren. Retired executive director of the Builders Exchange of Central Ohio, Cathy has extensive experience in nonprofit/not-for-profit volunteer motivation. Cathy is a 1980 journalism graduate of The Ohio State University. She served two terms as a board member of the OSU Alumni Association Student Loan Foundation, represented the alumni association on the judging committee for the Ohio State Departmental Teaching Excellence Awards and was an alumni representative on The Ohio Union Council. She has served on the advisory board of the Buckeye Leadership Fellows and represented the Office of Student Life on the Alumni Advisory Council of the Alumni Association. A 1986 graduate of Leadership Columbus, Cathy served as president of the Leadership Columbus board of directors in 1997. She continues to participate annually as a facilitator in the “Columbus History” session for the current leadership class. In 2008, she was selected for the Leadership Columbus Hall of Fame for her contributions to the organization. A past board member of the Ohio Society of Association Executives, Cathy holds the “Certified Association Executive” designation from the American Society of Association Executives. Her professional memberships include ASAE, OSAE, the Association of Fundraising Professionals and the International Builders Exchange Executives. In 2012, she was presented with the R. Thomas King Distinguished Service Award by OSAE, the organization’s highest individual honor. Cathy served on the board of The Arlington Bank from 1999 to 2012 and is a past board member of the Boy Scouts of America Simon Kenton Council. She is an active member of the Charity Newsies and a volunteer at the Healthy Worthington Resource Center and Food Pantry. Principal/Owner of Honda Marysville, Honda Motorsports, Toyota Direct, Performance Chrysler, Jeep, Dodge, Ram and Hinkley's Restaurant. Founder of Impact 60. Believes that all business owners & operators should be actively involved with youth and overall human growth development in their local community. Married to Shelby Daniels and the proud parent of 6 children and 1 grandchild. Graduate of Bowling Green State University with a degree in Finance and International Business. Employed with the Foundation since November of 2002; Director of Finance and Development since 2007. Sue also serves as president of the Marysville School Board. Sue and her husband Steve are long time residents of Marysville. They have three grown children and one grand child. Lifelong resident of Marysville and member of MHS class of ’64. B.A. from Miami University, Master of Arts in Teaching and MA in Educational Leadership. Retired from Marysville High School as the At-Risk Coordinator after having worked at O.M. Scotts and Sons Co. as an information specialist and Fairbanks High School as an English, Spanish and speech teacher. Judi currently tutors in the Homework Help Program at the Hope Center, enjoys memberships in P.E.O. and Women’s Parliament and serves as President of the MHS Alumni Scholarship Selection Board. Judi and her husband David live on their farm located a few miles north of Marysville. Chip Hubbs became President/CEO of Memorial Health in March 2004. Prior to arriving in Marysville, Chip served for four years as CEO of Community Memorial Hospital in Defiance County, Ohio, just outside of Fort Wayne. Before this, Chip’s management experience spanned various Senior Management positions at the Lutheran Health Network in Fort Wayne. He also worked as the Evening Administrator for the University of Chicago Hospitals. In all, Chip has worked for nine different hospitals throughout his career in every facet from groundskeeper and maintenance to intern, fellow, Evening Administrator, Executive Director, and CEO. After graduating Indiana University with a Bachelor of Science in Public Health and a Master of Health Administration, Chip earned a fellowship at the Sinai Health System in Chicago. He is a fellow of the American College of Healthcare Executives, and he has received several professional acknowledgments for his work, including receiving the Grassroots Champion Award from the American Hospital Association in 2016 for advocacy and leadership in the State of Ohio. He was listed by Becker’s Hospital Review of Nonprofit Hospital and Health System CEOs to Know in 2017, 2016, and 2014; as well as awarded the 2014 Columbus Business First’s C-Suite Award Honoree; 2013 Union County Business Leader of the Year; Columbus Business First’s “Forty Under 40” in September 2005; and Modern Healthcare Magazine’s Up and Comer Award in 2002. Outside the hospital, Chip serves on the Union County Foundation Board of Trustees, is a delegate to the American Hospital Association’s Regional Policy Board (Region V), and is a Board Member of the Institute for Health Innovation of the Ohio Hospital Association. He is past Board President for the Ohio Hospital Association, the Fairbanks Local School District Board of Education, the Union County Chamber of Commerce, and the Union County Family YMCA. Chip is married, has four children, and resides in Marysville. Gary was born in Union County, a graduate of Marysville High School and The Ohio State University. Gary’s life has been devoted to agriculture and public service. Lee Farms roots go back to 1843 when family first purchased land to farm on Blues Creek Road in Paris Township. In 2003, Gary was elected Union County Commissioner and served in that position for 16 years until 2019. In 2013 he was elected to serve as president of the State Commissioner’s Association. Gary also worked on election issues, veterans’ affairs, environmental concerns, and health care costs for County employees. He has testified “dozens” of times in the Ohio House and Senate. Gary has served as one of the founding board members and president of the Union County Foundation. He has been the Foundation’s honoree at their annual dinner. The Union County Chamber of Commerce recognized Gary by giving him the Chamber Life Time Achievement Award. Gary and Marcia, his wife of 49 years, still help their sons Ryan and Greg on the farm as well as enjoying their family. B.S. from Ball State University. A CERTIFIED FINANCIAL PLANNER™ holds FINRA Series 7 and 66 registrations as well as Ohio life, health, and annuity licenses. He has the AIF® (Accredited Investment Fiduciary®) Ryan lives with his wife Kelly, son Parker, and daughter Avery in Marysville. Doctor of Medicine degree from St. Louis University, Board-Certified Ophthalmologist from The Ohio State University specializing in the medical and surgical treatment of eye diseases. Six years’ service as Board Chairman and Vice Chair at the former Marysville Ohio Surgical Center (now Memorial Outpatient Surgical Center). Assistant clinical professor at The Ohio State University Department of Ophthalmology. Volunteer at the Columbus Medical Association Free clinic. In private practice in Marysville for 14 years. Jennifer and her husband Matt Morrison (Pediatric and Adolescent Medicine) have 4 children. A lifelong resident of Union County, he received his BS and MS in Agricultural Education from The Ohio State University. 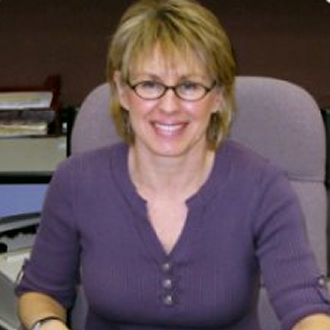 After a brief stint teaching Vocational Agriculture, Nicol, now retired, had a 43 year career in the cooperative system (Landmark, Countrymark and Land O’Lakes) in Human Resources managing employee benefit plans for the Cooperative Group Insurance, Pension and 401(k) plans for employees throughout Ohio and Indiana. Was president of the Ohio Human Resources Council, president of the Fairbanks Board of Education, a member of the Ohio FFA Foundation and a director for the Ohio Suffolk Sheep Association. Memberships include the Ohio Agricultural Council, the Columbus Maennerchor Club, and St. John’s Lutheran church where he has served as elder, vice-president, and secretary. Roger and Barb have two grown daughters, Tami and Amy. Brian has been with Holbrook & Manter since 1995, primarily focusing on the area of Tax Consulting and Compliance. Brian has a Bachelor of Science and Business Administration from Bowling Green State University. Brian and his wife have two children and reside in Marysville. J.D. The Ohio State University Moritz College of Law, B.A. Ohio Northern University. Of Counsel at Bricker & Eckler LLP and President, Argus Growth. Director of the Ohio Development Services Agency; former Mayor of Marysville; former VP for External Affairs for Scotts Miracle-Gro Company; Foundation for Appalachian Ohio Board of Trustees; Women’s Small Business Accelerator; Ohio Northern University Board of Trustees; The Hope Center Marysville Board of Trustees; Past President of Union County Chamber of Commerce; Memorial Hospital Board of Trustees and Marysville Public Library Board of Trustees. Chris and her husband Mike live in Marysville with their two children and attend Marysville Grace Brethren Church. Retired from 34 year career with Whirlpool Corporate Real Estate, Manufacturing and product engineering. U.S. Navy Veteran. Current Marysville City Councilman, Marysville City Planning & Design Review Boards, Chr. Of Veterans Remembrance Committee, American Legion and Chamber of Commerce. Former United Way board member. Alan and wife Cheri have two daughters and three grandchildren. BSBA in Accounting from The Ohio State University. Employed with the Foundation since February of 2018, having served initially in an assistant accounting administrator and administrative assistant capacity. She and husband Lyle are the proud parents of three. Mark Stover is a board-certified Orthopedic Surgeon and has been providing orthopedic care to patients in Central Ohio since 1982. During his residency, he completed specialized rotations in total joint surgery and hand surgery. He was awarded the title “Fellow” by the American Osteopathic Academy of Orthopedics (AOAO) in 1993. Throughout his career, Dr. Stover has held many leadership positions including President of the AOAO in 2000, Board Member of the AOAO from 1992 through 2001, Medical Staff President of Memorial Hospital, Chairman of the Department of Surgery at Memorial Hospital, Member of the Medical Executive Committee at Memorial Hospital, Chairman of the Credentials Committee at Memorial Hospital, and Chairman and Residency Program Director of the Department of Orthopedics at Doctor’s Hospital. Dr. Stover is a member of the medical staff of Memorial Hospital. Dr. Stover resides in Union County with his wife and children. Licensed Funeral Director and co-owner of Underwood Funeral Home. Graduated from OSU where she served in numerous leadership positions including president of the Ohio Staters. Post college Holly worked in medical sales and was a marketing specialist. She is an elder of the First Preysbyterian Church of Marysville where she enjoys singing in the choir. Jim has been in the financial services industry for 22 years. He is a Retirement Income Certified Professional and currently is affiliated with Eagle Strategies, LLC and New York Life. He started his career in 1994 with Aid Association for Lutherans. Jim also served as the Chairman of the Planned Gifts Committee with Memorial Hospital’s Development Council. Jim is married to Marlene and has three grown children, along with 4 grandchildren. Jim and Marlene are members of St. John’s Lutheran Church in Marysville, OH. Jim is also a member of Kiwanis. B.S. in Marketing/Management from Miami University. Life-long resident of Union County; owned and operated a 3rd generation General Motors automobile franchise for 22 years prior to joinng the Foundation. Has held leadership positions on numerous community boards. Has served as The Union County Foundation’s Executive Director since 2001. Married wife Jane since 1979. Dave and Jane have two grown children and four grandchildren. B.S. Business Administration (1974) and J.D. (1979) from The Ohio State University; 31 year Partner at Allen, Yurasek, Merklin & Owens-Ruff Law Office. Past and Present Affiliations: Union County YMCA, United Way of Union County and Red Cross; Union County and Ohio State Bar Associations; First United Methodist Church of Marysville. Ron graduated from The Ohio State University with a Bachelor of Science degree in Agriculture Economics, with a specialization in Finance. He is a twenty-three year veteran of the banking industry, and is currently serving as President and CEO of Liberty National Bank. 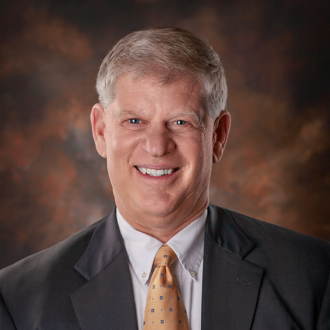 He currently serves on the Board of the Hardin County Economic Development Council, Discovery Riders Board of Directors is past chairman for the Hardin County Chamber and Business Alliance. Ron, his wife Kelli and their family reside in Bellefontaine.